Come visit us to see where it all happens! Our on-site facilities consist of 870 m2 of designated areas for warehousing, storage and auctioning. 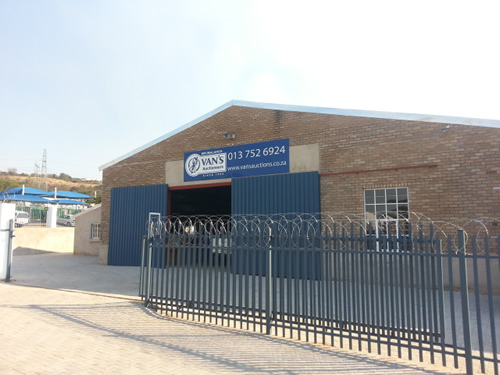 Our storage facility was recently upgraded and is located on the corner of Jan and Wilkens Street, Rocky's Drift (Industrial). The premises are monitored and protected 24/7 by Hitech Security. © Vans Auctioneers 2019. All rights reserved. Website designed and developed by IEDM.